Protect your investment by providing the ideal cellar environment with a state-of-the-art Wine-Mate wine cellar refrigeration system. A balance of temperature and humidity is critical for the proper storage and aging of wine. Temperature affects the rate of maturation while the right humidity keeps corks in good shape. Ensure your wine cellar has the proper conditions with a Wine-Mate cooling system. Select from self-contained, split or ducted cooling systems, all designed specifically for proper wine storage. On each cooling unit product page you will find a link to our installation and instruction manuals. Please review before purchasing so you know what to expect when your cooling unit is installed. Cooling units must remain upright at all times. Provide stylish display and protection for your collection with our impressive selection of wine racking options. A leader in the wine storage industry, Vinotemp allows you to select from a wide array of styles, materials, and finishes for your custom wine racks. Whether you’re looking for the beauty and quality of all-heart Redwood wine racks or the convenience of wine rack kits for your home or business, you’re sure to find just the right wine racking solution for your storage needs. Consult with our experienced sales and design team for even more ideas to enhance your custom wine cellar project. When it comes to building your dream cellar, Vinotemp International has you covered. Having been a leader in the wine storage industry for over 25 years, Vinotemp has seen it all. With a diverse catalog including everything from custom wine cellars to premium wine coolers, Vinotemp’s true mission is to turn your imagination into reality. Having partnered with other leading innovators in the industry, Vinotemp’s WineMate cooling systems are American-made and built to last. The three different options for installation allow you a greater range of versatility than other leading brands. Ranging from 1500BTU to 8500BTU, WineMate’s various self-contained systems have the controls built into the unit, condensing the space needed for installation. If you prefer to monitor and control the temperature of your wine collection from outside your cellar, WineMate also offers various ducted systems that allow you to place the controls outside your unit while air ducts direct cool air right where it needs to be. Don’t like the look of your condenser? Not a problem! WineMate offers a split system that allows you to place the condenser up to 50 feet away. Each unit undergoes a series of rigorous tests to ensure only the best quality. Vinotemp’s Apex wine racks are handcrafted in the USA and feature larger than average cubicles to best fit most bottles. According to India Hynes, President of Vinotemp, “Our mission is to provide a high quality product tailored to the customer’s desires” Apex also offers a variety of pre-set options to give you an idea of what they’re capable of. Shown below is an install of the Apex waterfall module with some standard racking to increase bottle capacity. The door is custom-made to the customer’s specifications and built into their den! Humans have been making, storing and drinking wine for over 8,000 years and today, we find that things have changed little and that wine is still the cornerstone of modern life. For decades, collecting wine has been the privilege of the upper class, fine restaurants and luxury hotels. Over the past few years we have seen a dramatic shift from the private and corporate collector to that of the everyday homeowner. We have seen a change in the buying habits, as consumers have gone from purchasing one or two bottles for self consumption and entertaining to that of a serious collector or investor. In a recent report from the Wine Market Council, millennials, people ages 21 to 38, purchased 159.6 million cases of wine last year, or about 42 percent of all the wine consumed in the United States. Wine storage is one of the fastest growing segments in residential design, be it an under-counter wine cooler, built-in wine locker or custom wine cellar, how we care and present our collection has now become as important as the wine itself. Vinotemp is a 30 year old, family business, based in Southern California. Founder, Francis Ravel, was born in Casablanca, French Morocco, fought with the French Foreign Legion, landed in Hollywood as leading man. After a lengthy movie career, Francis found his true passion of making and selling his own wine. This simple turn of fate lead to the need to store his collection. A man ahead of his time, he was the first to introduce the idea of placing a cooling unit into a sealed wine cabinet, and “viola”, Vinotemp was born. From these humble beginnings, Vinotemp has grown to be recognized worldwide as designers and innovators of architectural wine solutions, including cooling systems, built-in wine-coolers and bespoke wine-furniture. 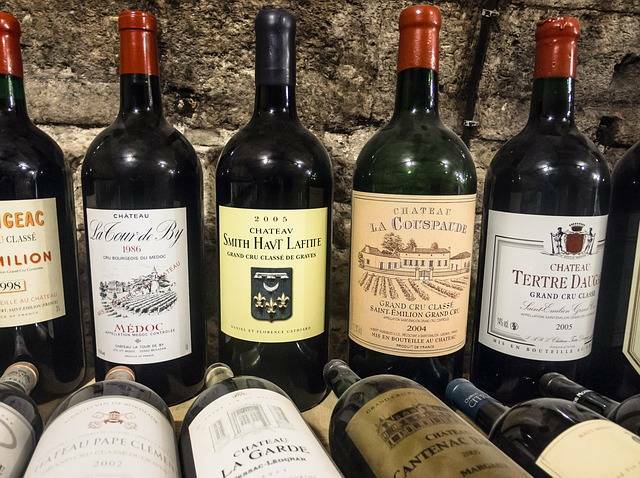 In this blog, I hope to share with you the art and science that reflects modern wine storage, through the proper care and handling of your small or large collection. As the founder of Vinotemp, Francis Ravel, once said, “How you store and present your wine is a reflection of both you and your collection”. I look forward to your questions, and comments. What is the right temperature for your wine? We have all heard the old saying, "white wine should be served chilled and red wine is best at room temperature". But what does that mean? What is chilled and what exactly does“room-temperature”mean? Temperature plays a huge role in both the storing, aging and serving of wine. When storing wine, high temperatures may cause wine to mature too quickly and giveyour wine a“cooked”flavor. If your storage area is unregulated and gets too cold, your wine may not mature properly and will not develop the flavors you were expecting. to make the right investment when selecting the environmental control system for your wine cellar, wine vault of wine locker. It is important to store wine between 55 and 60 degrees Fahrenheit. A few degrees higher or lower won’t affect your wine, but the goal is to maintain a consistent temperature and to avoid temperature fluctuating. Wine coolers and refrigerators are terrific for maintaining ideal serving temperatures for immediate consumption. They come in a variety of sizes and configurations to accommodate both large and small collections. Some wine storage units are designed for long-term storage and take into account conditions like light, humidity and vibration, all of which are important variables when storing and aging wine. Assuming you have correctly stored your collection at the right temperature, let ’s see how temperature can affect the enjoyment of your wine. “stun” the wine and lose the rich bouquet. As Francis Ravel, wine connoisseur and founder of Vinotemp wine systems, would often say, “If your glass appears frosty, then the wine is too cold”. It has become popular other the past few years to pop your wine bottle into the freezer for a quick cool-down, but beware, wine left to long may freeze and once frozen, it will never regain its original flavor or character. Champagne, as well as other sparkling wine, is best served around 40°- 50°F. This temperature maintains the right pressure inside the bottle and reducing unwanted foaming and the wasting of good champagne. Like champagne, sweet white wines, like a Muscat or Riesling, are perfect at. While lighter whites, such as Pinot Gris or Sauvignon Blanc, are refreshing when served just a touch warmer at 45°- 50°F. A dry rosé served at 55° F will enhance its bouquet. 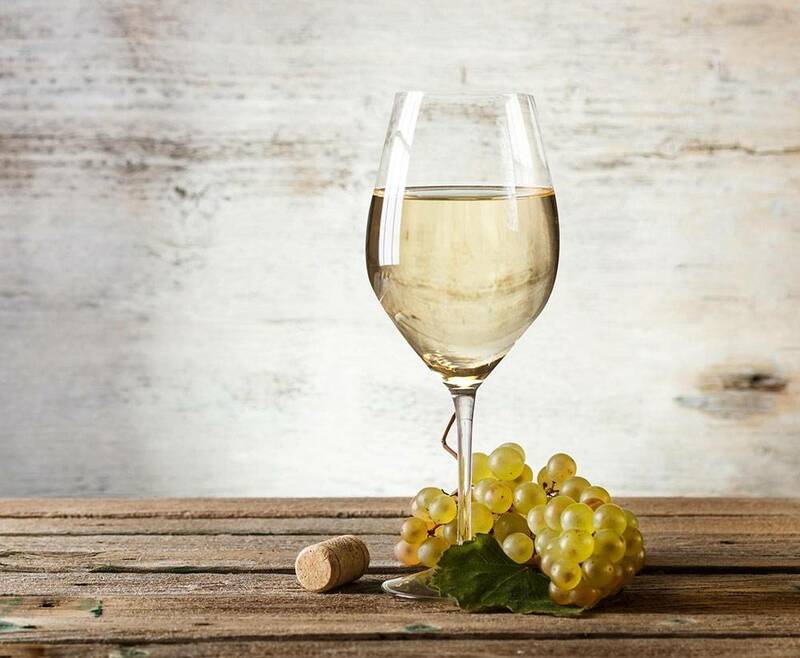 White wines like Chardonnay will surprise you with rich “fruity” overtones when served warmer between 50°- 60°F, depending on your preference. thick with an average room temperature running about 67°, and long before the notion of air-conditioning and central-heating. Today’s average residential room temperature of 72° F. and this will “cook” your wine and hide the natural fragrance of fruit and spice. A Pinot Noir is best between 50° -55°F, and a Merlot, Cabernet and Sangiovese are best at 55° - 58°F. Again, depending on taste, a California Cabernet Sauvignon should be served a little warmer, at 59° - 64°F. Temperature is very important to the aging and storing of your wine and it should be taken very seriously, but in the end, serving and enjoying your collection is a personal matter that should reflect your taste and palette. Kevin Henry is an internationally recognized industry mentor, designing, writing and speaking on a variety of topics, including kitchen design, the art and science of wine storage and environmental issues. For nearly 10,000 years, we have had long and flavorful relationship with the “fruit-of-the-vine”. From picking and gathering various fruits and berries, to the cultivation of the first fields, to picking and pressing the first harvests into vats, then transferring the sweet nectar to earthenware for storage. Through the ages we have pretty well perfected the art of growing, bottling and consuming wine, but the problem to a long term relationship with wine has been storage. Now, after thousands of years of trial and error, from dark, dank and wet caves to the modern wine cellar, we have finally come to a basic understanding to the art and science of preservation and storage of this most precious elixir. If wine is improperly stored, wine may mature too quickly, or too slowly or just may never reach its true potential. Likewise, it can be a host’s worse nightmare if a wine is served at a temperature that has not been allowed to rise or descend slowly. The key, is a controlled environment, be it a simple under-counter wine cooler or a full on wine room, the right environment will ensure a quality wine experience with each bottle served. Wine is a living. Breathing and evolving and complex form of chemistry that demands a gentle hand to guide it’s from birth to consumption. Wine, like any living thing, is affected by the world around it…and to ensure a quality wine experience, here are the 5 basic’s for proper wine storage. TEMPERATURE: The ideal temperature to store wine should be between 50° and 57.2 °f, which should remain constant. Located in Southern California, Vinotemp is a 30 year old, family owned business, with administration offices, manufacturing, distribution and warehouse facilities throughout Los Angeles and Orange County. Founder, Francis Ravel, was born 1917, Casablanca, French Morocco. In his early 20’s, Francis moved to Paris where he joined and fought with the French Foreign Legion. The young freedom fighter was captured by German occupation troops, where he escaped and joined and fought with the US Army to push German troops out of France and assist with the Allied invasion and conquest of Nazi Germany. After the war, Francis came to the United States and eventually landed in Hollywood, California in the early 1950’s. He became an actor and was cast with Fred Astaire, Gene Kelly and Elvis Presley in a verity of hit musicals. After a lengthy film career Francis turned his talents to the early days of Television and played a recurring role on the I Love Lucy show. After a lengthy and successful film and TV career, Francis, at 68, found his true passion of making and bottling his own wine. This simple turn of fate lead to the need to store his collection. A man ahead of his time, he was the first to introduce the idea of placing a cooling unit into a sealed wine cabinet, soon he was making his wine cabinets for friends and family and “voila!” Vinotemp was born. From these humble beginnings, Vinotemp has grown to be recognized worldwide as design and innovators of bespoke wine solutions, including cooling systems, wine-cellars and wine-furniture. Today, Francis Ravel’s daughter, India Hynes, who grow-up playing and working on the floors of the Vinotemp factory, is now President of Vinotemp International. Comments | Posted By L.C. What does your wine want? What does your wine need? What is best for your wine? The right wine glass can answer all of these questions. Because picking the right wine is such a daunting task, there’s a naïve hope that choosing which wine glass to pour it into would be a much easier responsibility. However, the reality is that figuring out which is the right wine glass is often just as difficult, if not more. Although simply ignoring the rules of wine etiquette and drinking from whatever pleases you is always an option, there comes a point in time when an avid, or not so avid, wine drinker might decide that just any old glass is no longer satisfactory. With so many wine glasses out there in the world, there comes a desire to find glasses that are unique, ones that can start up a dinner conversation and leave a lasting impression. The difficulty here is in finding glasses with the ability to do so. It becomes a choice between the most convenient set of wine glasses or the perfect set of wine glasses. Comments | Posted By A.V. When considering the purchase of a wine refrigerator, here are some easy to understand descriptions of the differences. First, there is long-term storage (1+ years), then short-term storage (1-6 months) and service (drinking now). Drinking wine is a daily or weekly event; that is why it’s moved to the kitchen instead of the cave or cellar. Location for the refrigerator can be the kitchen, family or dining room, the garage or cellar, or even outside. Comments | Posted By I.H.